Its been a while since I`ve done any macro photography outdoors. 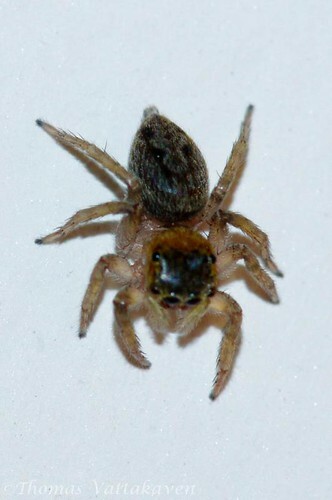 Thus when I saw this jumping spider inside my house, on the wall, I couldn't resist. 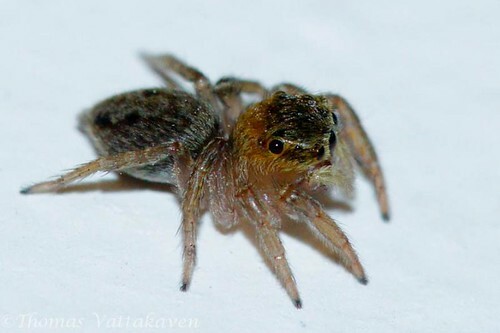 The jumping spider family (Salticidae) is the largest family of spiders and contains more than 500 described genera and about 5,000 described species. They are so called as they have the ability to jump from place to place anchored by a silk tether. They do this by a internal hydraulic system which enables them to extend their legs by adjusting the pressure of their body fluid. Thus it can still jump great distances without the need of muscular legs. 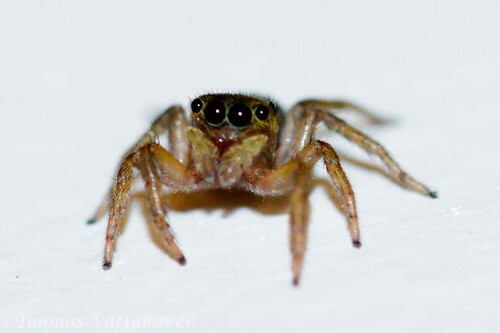 All jumping spiders have four pairs of eyes with very large anterior median eyes. 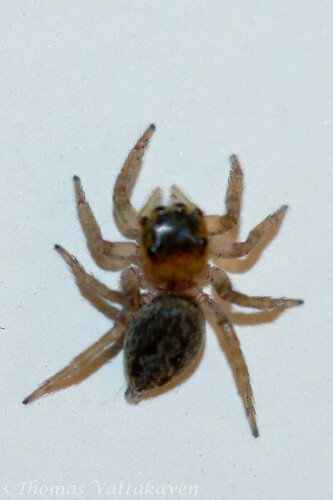 These median eyes have atleat 4 different receptor cells enabling the spider with colour vision extending even to the UV range. 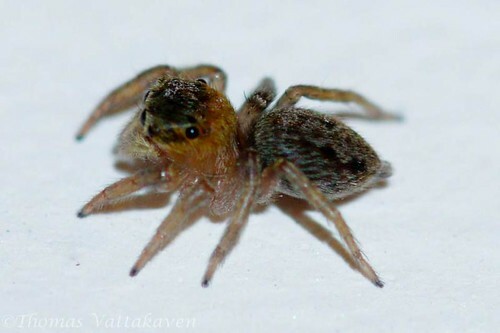 These spiders combine their awesome eyesight and jumping skills to become voracious hunters of insects. Unlike other spiders which build webs, they stalk their prey and pounce on the before the insect barely has any time to react. 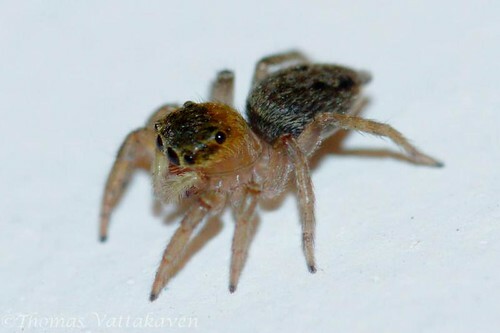 The next time you see a jumping spider on your wall, take a little time to sit and observe this awesome predator!